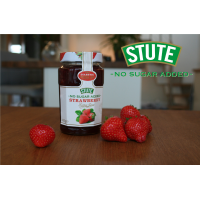 Stute Foods is a wholesaler of jam with no added sugar. Sugarwise has certified their sugar free jam and some jams have received the Great Taste Award. 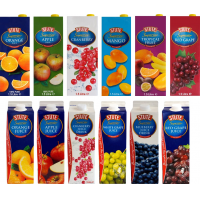 Established in 1969, Stute Foods is a producer of jam with no added sugar. 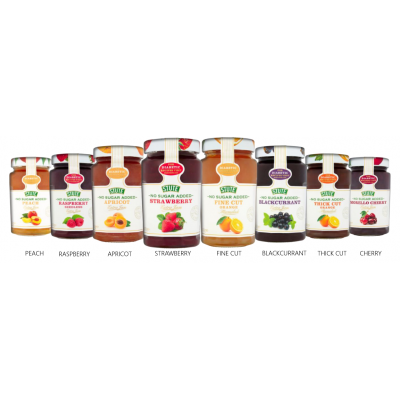 The jam provides a delicious, healthier alternative to ordinary jam. 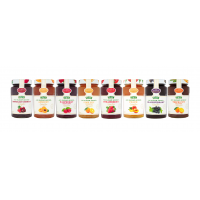 Stute Foods, the wholesaler of jam with no added sugar, offers 8 different flavours; strawberry, fine cut orange marmalade, blackcurrant, apricot, raspberry (seedless), peach, Morello cherry and thick cut orange marmalade. 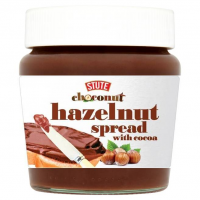 The diabetic jam manufactured by Stute Foods contains 90% less sugar and 30% less calories than standard jam. 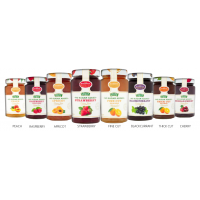 Most of Stute Foods jam has 40% more fruit content than standard jam. Sugar Content: 2.1g per 100g. Sugar Content: 4.0g per 100g. 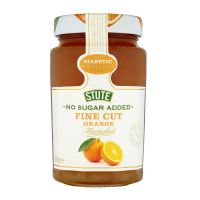 Fat: < 0>Saturated fat: < 0>Carbohydrate: 59.7 g.
Thick cut, orange marmalade, with no added sugar Sweetener (Sorbitol). Sugar Content: 2.5g per 100g. Energy: 640 kJ/153 kcal. The minimum order requirement is 1 mixed pallet. For more information about the wholesaler of jam with no added sugar or to find out how to become a distributor, contact us now.